We are all human beings, but by living in different places around the world, in our own unique struggle to survive, we learn different things, mostly dependent on where we live. 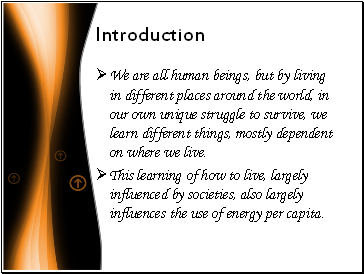 This learning of how to live, largely influenced by societies, also largely influences the use of energy per capita. 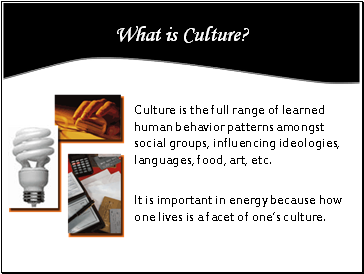 Culture is the full range of learned human behavior patterns amongst social groups, influencing ideologies, languages, food, art, etc. 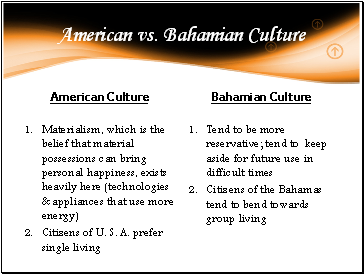 It is important in energy because how one lives is a facet of one’s culture. These are belief systems; a set of ideas that constitutes one's goals, expectations, and actions; how one looks at things. 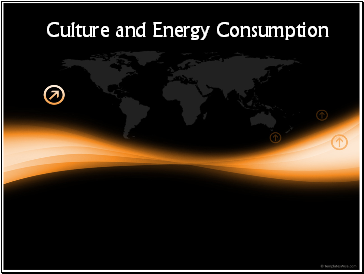 Depending on a society’s ideology, energy usage is affected. 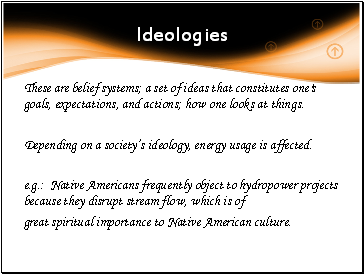 great spiritual importance to Native American culture. Homely feelings for individuals of a society influence how buildings are constructed and how energy is used, which is indeed a facet of culture. 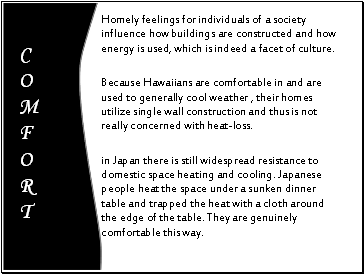 Because Hawaiians are comfortable in and are used to generally cool weather , their homes utilize single wall construction and thus is not really concerned with heat-loss. in Japan there is still widespread resistance to domestic space heating and cooling. Japanese people heat the space under a sunken dinner table and trapped the heat with a cloth around the edge of the table. They are genuinely comfortable this way. 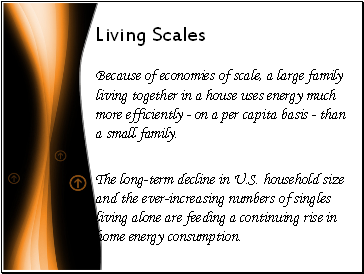 Because of economies of scale, a large family living together in a house uses energy much more efficiently - on a per capita basis - than a small family. The long-term decline in U.S. household size and the ever-increasing numbers of singles living alone are feeding a continuing rise in home energy consumption.